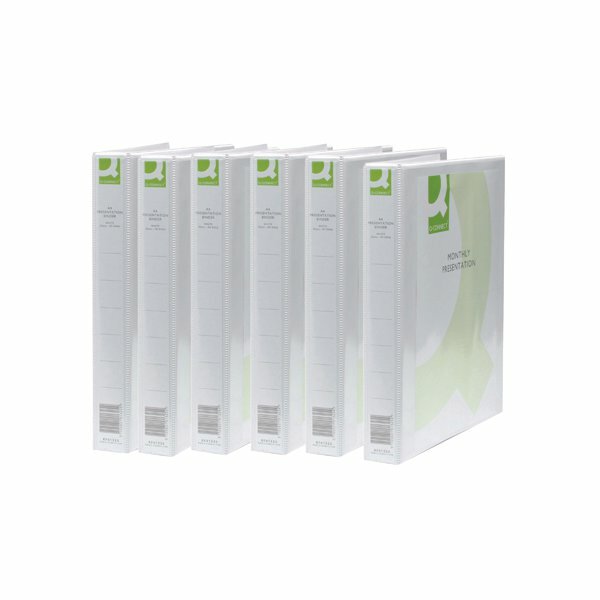 Made from strong welded PVC, this pack of 6 high quality presentation ring binders from Q-Connect will bring a touch of professionalism to your office. They feature full length cover and spine sleeves for adding your own presentation cover. Finished in white, these folders have an easy-open 2 D-ring mechanism for adding and removing papers quickly, with a total capacity of 25mm for storing A4 documents.